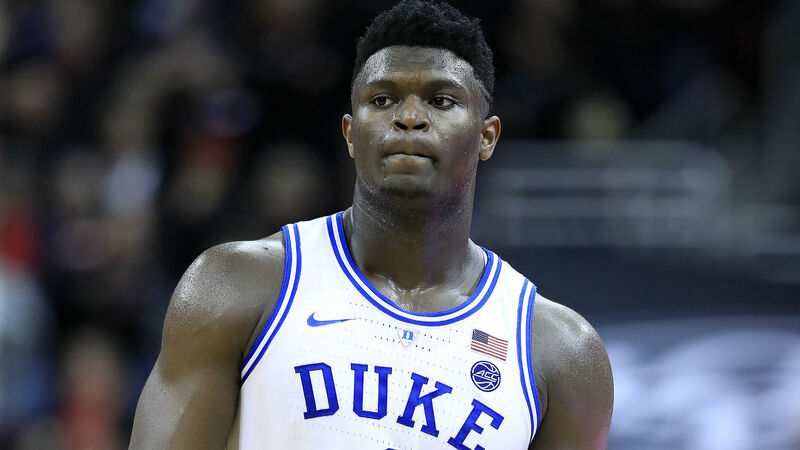 Duke head coach Mike Krzyzewski is not expecting top NBA draft prospect Zion Williamson to play on Saturday. Williamson – who is expected to be selected with the first pick in the draft – has been recovering from a sprained knee. The 18-year-old, who is in the final phase of recovery – missed Tuesday's 71-70 victory over Wake Forest and Krzyzewski does not believe Williamson will be on the floor in the team's regular-season finale against North Carolina. "He's getting more confidence, and we just have to get him in shape," Krzyzewski said post-game. "I don't think he'll be ready for [UNC] ... but I would be surprised if he wasn't ready by the ACC tournament." Williamson originally suffered the injury less than 40 seconds into Duke's first matchup against North Carolina on February 20. The Blue Devils have gone 3-2 in his absence, including an 88-72 loss to the Tar Heels. Williamson has been one of the best players in college basketball this season, averaging 21.6 points and 8.8 rebounds while shooting 68.3 per cent from the field in 2018-19. "He'd love to play Saturday, too, if he's ready," Krzyzewski said. "He'll be in some basketball workouts now. That's a really good sign for us. For me, it's a great sign."